Robin Talley | I write young adult fiction and think way too much about everything. I write young adult fiction and think way too much about everything. I happen to be good friends with amazing YA author Miranda Kenneally. However, were this not the case I would still be posting here to tell you to check out her latest book, which is just about to launch, Things I Can’t Forget. Here’s the thing about Things I Can’t Forget: It speaks to me in a way very, very few other YAs have done. It’s about a Christian girl growing up in Tennessee who is just beginning to discover that the world isn’t as black-and-white as she’s always been taught. She discovers this via becoming a camp counselor, making friends with Parker of Stealing Parker fame, hooking up with a hot guy, and driving her BFF to get an abortion, albeit not in that order. In celebration of TICF’s release, I’m offering a giveaway: Autographed copies of Miranda’s first two books, Catching Jordan and Stealing Parker! 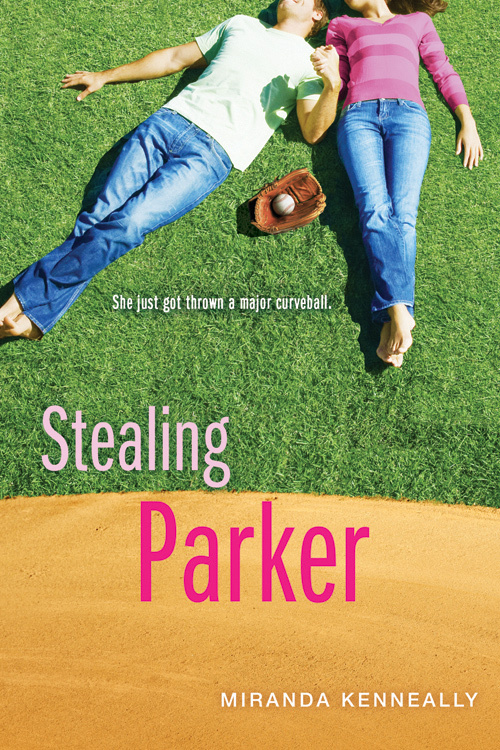 To enter the giveaway, just leave a comment below and say whether you’d prefer to get a signed copy of Catching Jordan or Stealing Parker! The giveaway will be open through midnight Eastern time on Saturday, March 9 (extended from original deadline of March 8!). It’s open in the U.S. only. Make sure to specify which book you’d like to win. This week I answered four questions over at OneFourKidLit, the blog for 2014 YA and MG debut writers (a group which includes me — I still can’t quite believe that!). I was first inspired to write LIES WE TELL OURSELVES during a road trip with my parents. We were talking about their school days back in the 1950s and 60s, and the conversation turned to their fears that the schools would be closed due to the state government’s efforts to resist school desegregation. Both of my parents were students in all-white Virginia high schools during integration. They both saw first-hand the torment that the few black students in their schools were subjected to. These were stories I’d never been taught in history classes, even though I grew up in Virginia too. I also shared some of my favorite vintage 1950s yearbook photos, gave some advice to newbie writers, and more! Check it out. Giveaway: Pick Your (Signed!) 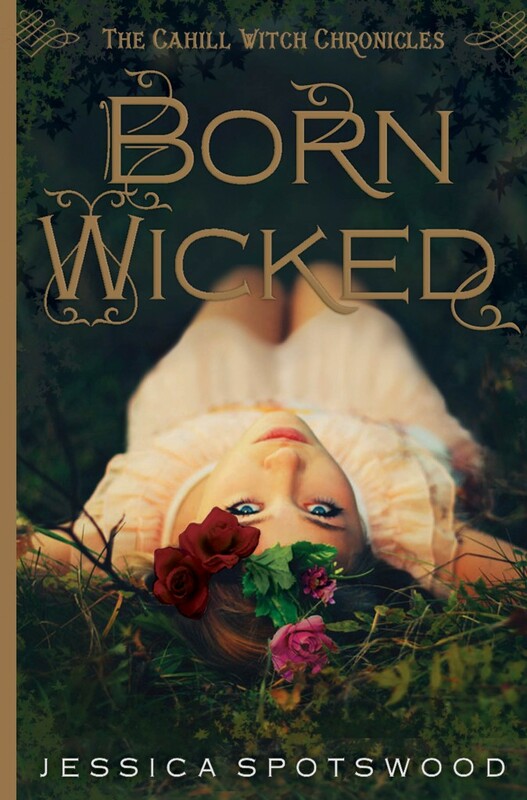 Born Wicked Cover! So it’s no secret that I’m a huge fan of Jessica Spotswood‘s series, The Cahill Witch Chronicles. The second book in the series, Star Cursed, is coming out this June, and the paperback of the first book, Born Wicked, came out last week! 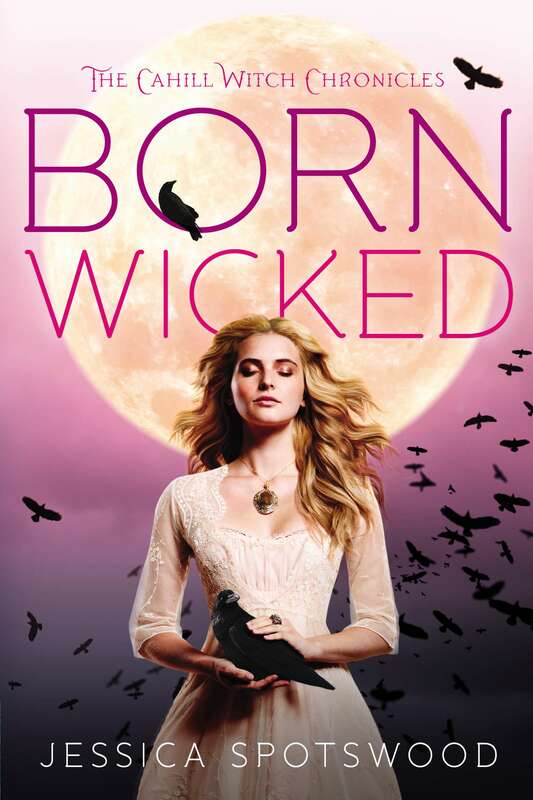 In celebration, I’m giving away two signed copies of Born Wicked — one in hardcover and one in paperback. They both have awesome covers, but they’re so different! So I figured I’d give out one of each and make you choose. To enter, just leave a comment below and let me know whether you want the hardcover or the paperback! U.S. entrants only, please. Both copies are signed by the awesome Jessica Spotswood herself! To enter the giveaway, just leave a comment below and let me know whether you’d rather get the paperback or the hardcover! Both copies are signed by author Jessica Spotswood! The contest will be open through midnight Eastern on Thursday, January 17. Update: The contest is now over! Thanks to everyone who entered. Winners will be notified by email! It is 2013! This means I can now officially say that my book is coming out Next Year! Woo hoo! To celebrate, I’m going to do the meme my friend and the awesome author of Born Wicked Jessica Spotswood tagged me in — the Next Big Thing meme. I first got the idea for the basic framework for Lies We Tell Ourselves during a road trip with my parents. We were talking about their school days back in the 1950s and 60s, and somehow the conversation turned to their memories about school desegregation. They’d both been in all-white Virginia high schools during integration. They’d both seen first-hand the torment that the few black students in their schools were subjected to. I did more reading about the desegregation process, and learned just how well-organized opposition to the Supreme Court’s 1955 Brown v. Board decision had been throughout the South. I also learned that in city of Norfolk, Virginia, 10,000 students missed out on half a year of their educations in 1958 ― because the Governor closed down the white schools rather than let 17 black students into their classrooms. Once I heard the story of those 17 astonishingly brave kids (and you should read the story of The Norfolk 17 too), I knew I had to write a novel about the period. I’m terrible at this, because I am mostly unfamiliar with the current crop of teen actors. So I will pick actors of varying ages and let’s just pretend they’re way younger than they actually are, OK? OK. I’d pick Kerry Washington to play Sarah, a red-haired version of Dianna Agron to play Linda, Jennifer Hudson to play Ruth, and Terrence Howard to play Ennis. Well, the first draft had a lot of false starts. I threw out very large numbers of words and started over again several times as I found the characters’ voices. Then I threw out most of what was left after that and rewrote it with a different POV and a mostly different plot. So, I spent 3 months on my first draft, and then I threw it out. Well… Between Shades of Gray by Ruta Sepetys? That book is amazing, so I feel awkward comparing my own to it, but there aren’t very many other mid-twentieth-century realistic historical YAs with no paranormal elements out there. The amazingly brave kids who sacrificed their own childhoods to integrate schools across the South in the 1950s, 60s and 70s. 2012 was the second year I kept a record of all the books I read. It’s fascinating to look back over the list, in the same way that it’s fascinating to obsess over how many words I write each day and other navel-gazing-type-behaviors in which we writers specialize. I’m not going to list all the books I read, but I will note some interesting highlights from my list. I’m also going to recommend some of the best queer YA I read this year, so feel free to jump straight to that if you want to skip the numbers. It takes me way longer to read over my own writing for editing purposes, etc., than it does for most writers. I have to allow a lot of time for that when I’m planning out my writing schedule. I can’t ever do any of those challenges other readers/writers do where you aim to read 100 books in a year, or even 50 books. It’s just not realistic for me. Anyway, here’s what I read for the past two years. In 2011 I read 32 books. That included 25 YA books, 6 adult books, and 1 MG book. Of those 32 total books, I marked 12 as “excellent” in my spreadsheet. 9 of the books I read were published in 2011. 2 were unpublished manuscripts. 1 was an ARC. In 2012 I read 30 books. That included 24 YA books, 5 adult books, and 1 MG book. Of those 30 total books, I marked 13 as “excellent” in my spreadsheet. 15 of the books I read were published in 2012. 4 were unpublished manuscripts. 3 were ARCs. I’m kind of surprised that I read fewer books total in 2012 than 2011, even though it wasn’t by much. I think that’s because this year I read several manuscripts to critique for friends, which takes longer than reading a book just to read, since it means paying really close attention and taking notes as I read, etc. I also track which books I read have queer (lesbian, gay, bisexual, transgender, questioning, gender non-conforming, etc.) characters. In 2011 I read 4 books with queer main characters and 4 books with queer supporting characters. In 2012 I read 5 books with queer main characters and 13 books with queer supporting characters. I also have a habit of reading older books, and of putting off reading new books until they’re no longer new. Which is not a great way to stay up on what’s current in one’s field. So, in both 2011 and 2012 I set out to read as many YAs published in that year as I could. I made more of a concerted effort to do that in 2012, and for the first time ever I met my goal of reading 10 YAs the same year they came out. For 2013 I’m going to be bold and up that goal to reading 20 YAs that are either 2013 releases or upcoming ARCs/manuscripts. I think I’d also like to read more adult books and MG books. And I’m going to endeavor to read at least 10 books with queer main characters, regardless of what age range they are or when they were released. I guest-blogged at Friday the Thirteeners, a group for YA authors with books debuting in 2013, with a letter to my middle-school crush. As you are well aware, I had a fervent crush on you for most of middle school. I’m still not sure exactly why. Was it your still-developing-but-already-pretty-impressive sense of snark? Your Geometry prowess? Your early forays into ‘90s grunge fashion? Honestly, I think it’s that you were smart, and funny, and, well, you seemed non-threatening. You and I both know the irony of all this, of course, which is that a few short years after the fervency of my crush on you had faded, I got it into my head that it was actually maybe OK to have a crush on a girl every now and then. And once that idea had gotten hold of me, it held on hard. To read the rest of the post (including embarrassing reveals about my 9th-grade St. Patrick’s Day dance, the matchmaking efforts of my middle-school math teacher, and more! ), head over to Friday the Thirteeners. So, back in August I squealed all over the place about the amazing fact of my having sold my first book. The truth is, I am still rather much with the squealing. But the initial shock of it has finally worn off, and now I am super excited to move onto the fun of The Stuff That Happens Next. First up: Soon, I will get my first edit letter from my fabulous editor. And it will include lots of notes on things I can do to make the book better. I am super psyched about digging in and doing all of these things to transform my book into something that hopefully will be awesome and that I will be thrilled to share with all of you. I already have ideas of things I want to do, and I’m just waiting to get my official edits so I can make sure they don’t contradict each other. I haven’t looked forward to a revision like this one in quite some time, though. I feel like the book needs some really specific things to make it work, and it’s thrilling to have actual, professional editorial input for the first time on how I should make that happen. Down the road, there will be cover ideas to discuss and then reveal, promotional stuff to do, launch parties to plan, reviews to obsess over, and all of that excitement that will come with it. And there will be much nervous anticipation of all of these things. I write young adult fiction about lesbian, gay, bisexual and transgender characters. My debut novel, Lies We Tell Ourselves, will be released in Spring 2014 by Harlequin Teen. You can reach me on Twitter (@robin_talley) or by e-mail at robintalley678 at gmail dot com. It’s OK if your gay character has a lisp. Really. The Bi Teens Are Out There. They’re Just Hiding.